Don't book anything until you've read this! 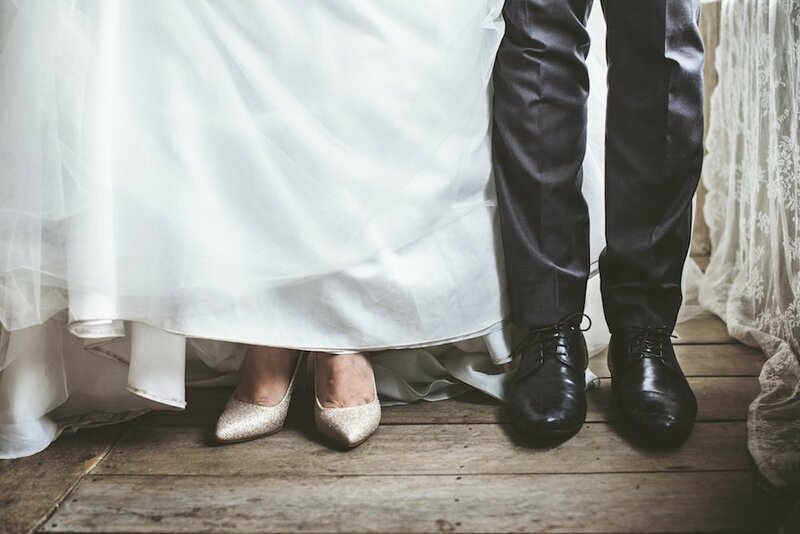 Introducing the Muddy mega marriage guide with more brilliant local venues and suppliers than you can shake a sugared almond at. For the ultimate in fairy-tale romance, follow in the footsteps of Jane Austen’s brother and tie the knot at Goodnestone Park which sits in 15 acres of land and manicured gardens, close to Canterbury in Kent. The house has been sensitively – of should that be Sense and Sensibility – restored to its former glory and is available to hire for weddings. For those wanting a religious ceremony, the historic Holy Cross church is a stone’s throw from the house. Mount Ephraim Gardens is set in ten glorious acres of stunning Edwardian terraced gardens against a backdrop of the beautiful Kent countryside. The gardens also feature a Japanese rock garden, water garden and lake, arboretum and a spectacular grass maze with a play area for children so already you have a scattering of good ingredients for a magical day. From the spectacular views of the gardens and estate, to the elegant sweeping staircase leading into the main hall, Mount Ephraim seem to have every photo setting covered. And five en-suite bedrooms for your and your nearest and dearest to flop out in post all of the wedding fun. 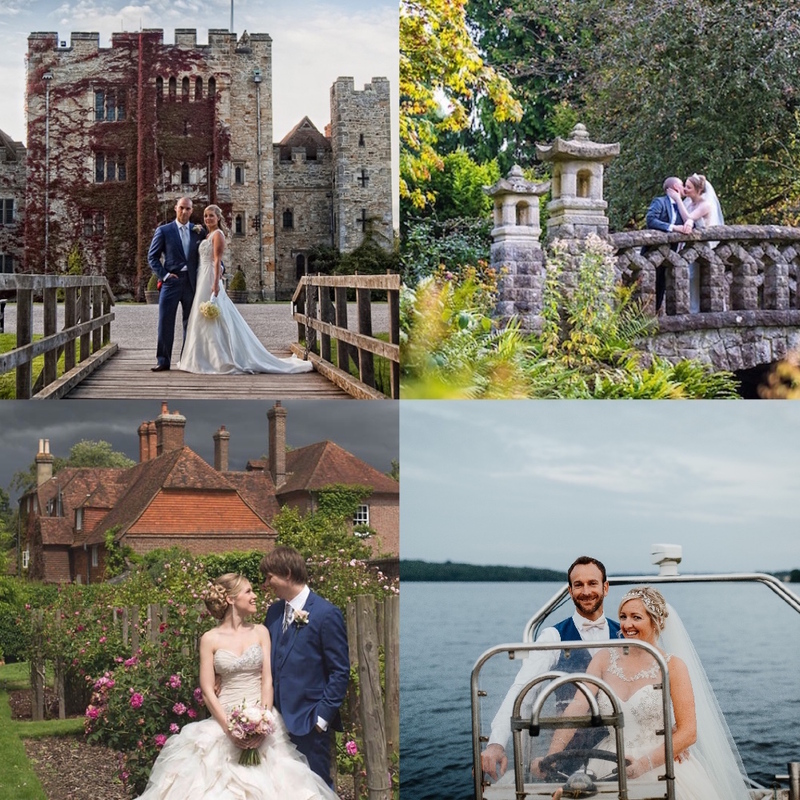 If you feel that there is an inner wedding-princess lurking inside you, then you should definitely consider marrying at one of England’s most romantic castles, Hever Castle. Whether it’s the stately grandeur of the Castle itself, the classic, country house atmosphere of the Astor Wing or the stunning lakeside location of the Italian Garden, there are just a few spots for you and your guests – whatever the season. This beautiful grade II listed Georgian country house in Horsmonden, near Tonbridge, is tucked away in 100 acres of parkland at the end of a long sweeping driveway. Nestled deep in the heart of the Kent countryside, Sprivers makes a secluded and private venue and the perfect year-round setting for your civil ceremony and wedding celebrations. A wonderful plus-point is that you’ve got onsite accommodation for up to 10 people, including a luxury bridal suite, for 2 nights (more nights are available), so you and your close family and friends, can take over the whole place. This exclusive-use accommodation will create a country house weekend feel for your wedding and give the couple loads of time to set up and prepare in the house and marquee. 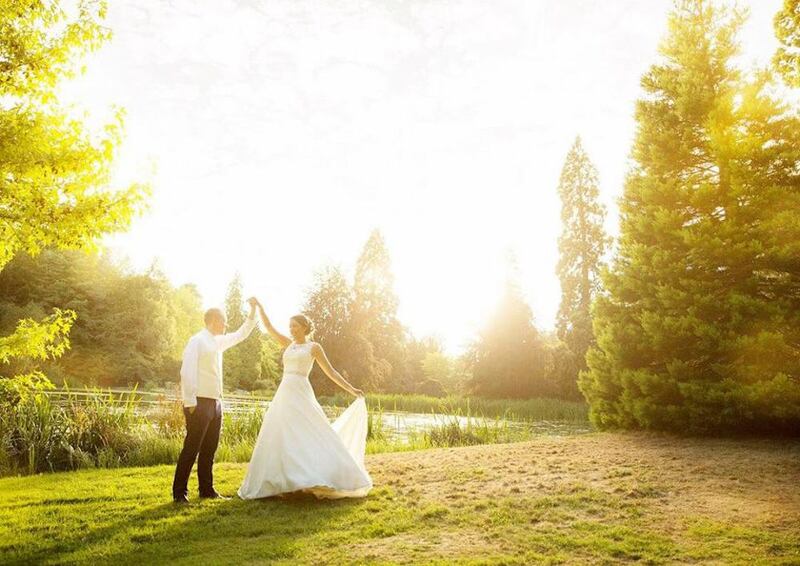 Breath-taking panoramic views across the reservoir and hundreds of acres of outstanding natural beauty makes Bewl Water the picture perfect location for your special day and one of the most unique venues in Kent. Licensed to host both ceremony and reception means couples can choose to marry to the backdrop of the South East’s largest stretch of open water. Weddings are held at The Boat House, which is perched by the edge of the water, away from the main visitors centre, plus Luxury ‘Glamping’ Bell Tents are available including a special bridal tent for you to spend your first night together under the stars. Not only the only National Nature Reserve in England where you can spend the night but also an exceptional venue if you are looking for a wedding which embraces your love of the outdoors. You have the perfect set-up at Elmley Nature Reserve with Kinghill Barn, a spectacular traditional Kentish barn, which is available for hire. Kinghill Barn is a rustic wooden building with all the original features intact, and completed with twinkling fairy light canopies surrounded by a wide-range of accommodation for all of your nearest and dearest. Just maybe expect a few extra wildlife guests in the congregation! Winner of the Kent Wedding Awards 2017/2018, One Warwick Park is licensed to host wedding ceremonies and receptions which can accommodate wedding parties of up to 120 seated and 180 for an evening reception. If charm, style and luxury is what you’re after (with all the travel/sleeping logistics sorted) this is your best bet. Furthermore, you are in a cute and characterful part of town and literally minutes away from the Georgian colonnade of shops known as The Pantiles so a wonderful backdrop for some fabulous photographs of your big day. Make sure you don’t miss some heavy-duty pampering at COCO Blush, One Warwick Park’s very own beauty salon, to ensure you are groomed to perfection. The Salutation, a stunning country-house sitting in the heart of Sandwich, takes a very novel approach to weddings. Awarded the most Romantic Hotel of The Year in the Good Hotel Guide (2019) they deliberately host only a small number of weddings each year, aiming to make each one as unique as the next. By choosing to focus its efforts on just a handful of events, The Salutation team can devote their time and creative energy to making the day entirely bespoke, working with you to generate ideas, menus and schedules that truly personifies you and your loved one. Hear hear to that! The bridal team at Leeds Castle really know how to pull out ALL of the stops for your big day. Ring delivered by an owl? Check. Punting on the moat for you and your guests? Check. 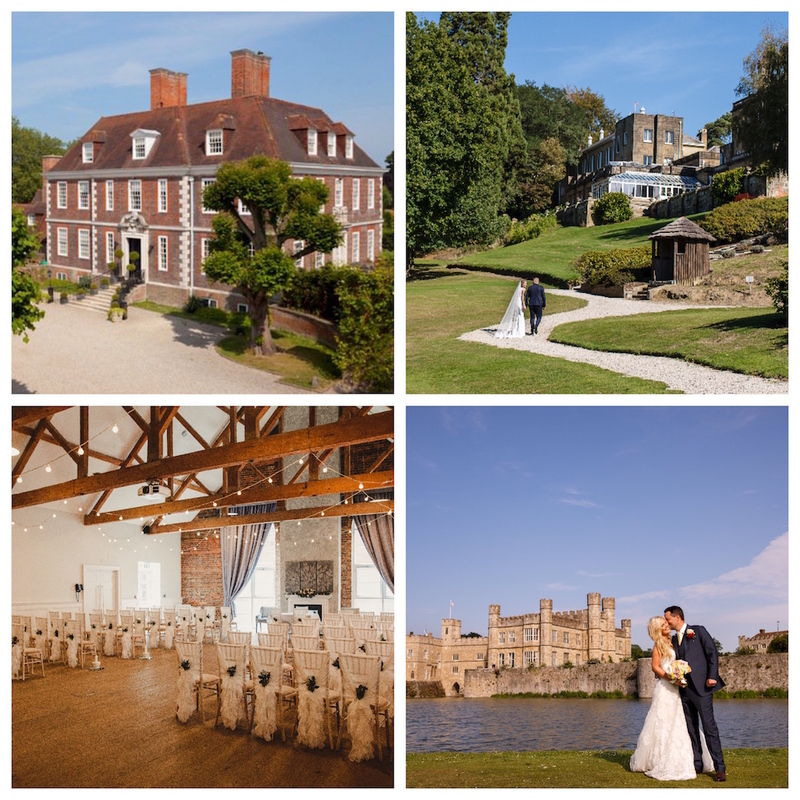 Exclusive use of the Leeds Castle island for the wedding? Check. They also do small and intimate gatherings very well too and it is worth checking out the new Battel Hall, one of its recently restored venues, where you can say your ‘I do’s in its beautiful Ceremony Room, featuring rich oak panelling – or outside – under a romantic, old English bower. Situated just two miles outside the spa town of Royal Tunbridge Wells, Salomons Estate is a stunning Victorian mansion, set in 36 acres of rolling gardens, parkland and woods with not one but TWO lakes providing the perfect backdrop-fodder for you and your beloved’s photos. The hotel can host up to 230 guests for those of you squabbling over the guest lists and 47 bedrooms are available to house the rabble afterwards. Want to get married on the beach you say? Well look no further than Gallivant, set behind the dunes of Camber Sands and the closest thing that you will get to the Hamptons in the UK. Whether it’s an actual wedding on the beach with sand in between your toes or in its private Cabin overlooking the beach, the Gallivant has all beach-esque wedding options covered. Lovingly converted from a Grade II-listed mansion, Hotel du Vin Tunbridge Wells boasts a certain character and charm, just like the very town in which it stands. With this in mind the design team behind the interiors have amplified the beautiful, authentic Georgian period detail and added their own characteristic twists throughout. Exquisite private rooms, gorgeous suites, a tranquil terraced garden and heavenly dining. Hotel du Vin Tunbridge Wells is a fabulous choice for your wedding day. A stunning venue based in 500 acres of beautiful, organic farmland, near Sevenoaks in north Kent. Here you get exclusive use of whole the site for two nights so you have all the time you need to make the day yours. 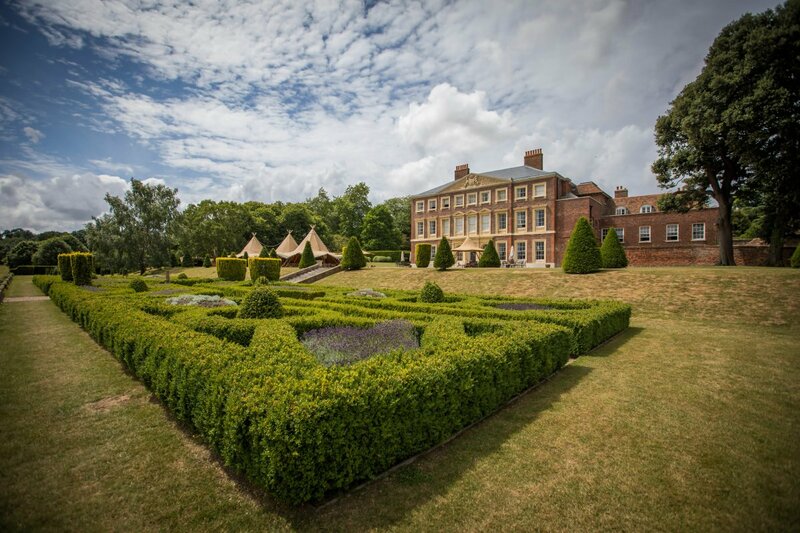 You can have the ceremony in Bore Place House or alternatively they can arrange for a marquee or tipi to be erected in the beautiful gardens. Want to arrange your own catering? No problem. Or you can use their chef who will cook organic food, much of which will have been grown in their very own Bore Place garden. Plus there’s a barn where you can eat or have a band or disco. Inside the house oozes character and the overnight accommodation consists of 12 bedrooms (sleeping up to 25 guests) as well as the Old Stables and Small Barn as part of your wedding package. With more options outside for anyone happy to make the most of on-site glamping in yurts or the gypsy caravan, you put up 50 of your guests so the celebrations can carry on and on and on…. And now for something completely different….how about the The Historic Dockyard Chatham for a totally offbeat but still wow venue? At the world’s most complete Dockyard from the age of sail, you have your pick of historical venues. Whether it’s the Commissioner’s House, Britain’s oldest naval building complete with stunning Georgian architecture or all on board the HMS Gannet, with seating for up to 80 people, you will be guaranteed a very unique and historical setting for your big day. If churches and confetti aren’t your thing, the 9500 ft clubhouse at Kingdom is set in 13 acres of ancient woodland, surrounded by birds, trees and nature and is available for private weddings. 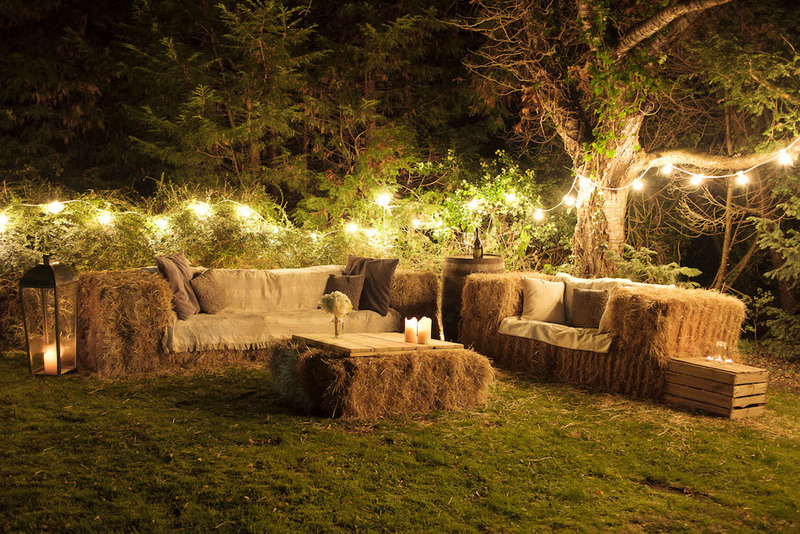 Providing a chilled-out festival vibe, you and your guests can sit out under the stars and under the trees, huddle round the campfire with blankets or gaze out over the tree tops of the Weald from the open roof terrace. Just 35 miles south of London, Kingdom is a wonderful choice if you are looking for an alternative, yet still memorable, wedding day. 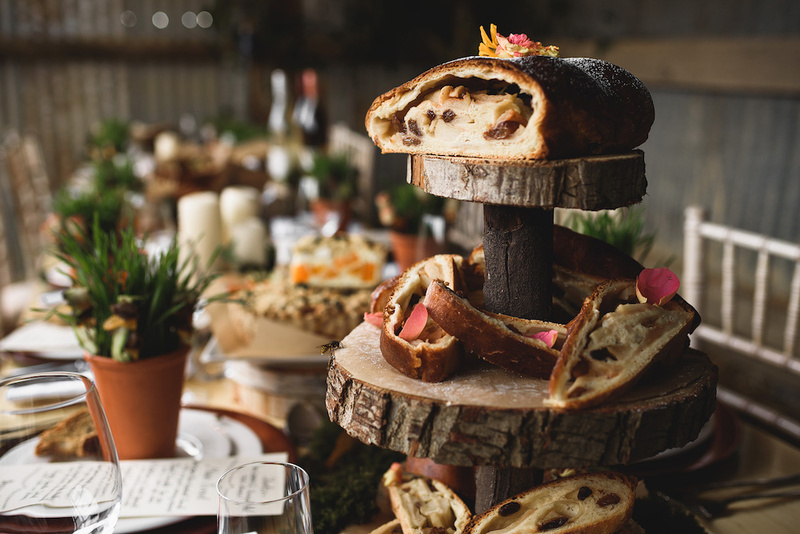 If you are looking for the wow factor, mixed with rustic charm, then Home Gurr’own are the caterers for you. Nicci Gurr is at the helm and has over 20 years experience having worked with the likes Albert Roux of Roux Fine Dining in London and has now bought her culinary know-how to Kent where almost all the ingredients for your menu are either sourced from the surrounding Kent & East Sussex countryside or grown on its smallholding. And it doesn’t stop there – personalised styling, hand drawn signage, vintage bicycles, fun and funky props are all available as part of your wedding package. For the small and intimate celebrations, consider Basil who are now delivering their tasty food direct to your door. Launched in April 2008, with the simple philosophy of creating deliciously wholesome food and indulgent cakes, Basil now has four spots around Kent serving its scrumptious food which is sourced from local farmers, growers, bakers and butchers. For the feel-good feeling yet still YUMMY food, it’s worth giving talking to Basil about what you have in mind for your wedding celebration. Raspberry Room’s cookies and cakes have graced many elite events such as London, Paris & Milan Fashion Week and has an enviable client list of celebrities and members of high society including global fashion brands Chanel, Anya Hindmarch, Jo Malone, Christian Dior and Stella McCartney. And they have now come to Kent, hip hip hooray! Raspberry Room recently opened its charming tea room in Brasted and as they also specialize in creating beautiful, elegant and stylish bespoke wedding cakes, cupcakes, cookies and favours for every occasion, they should be high on your hit-list when considering which cake to feed you and your guests. Say cheese… It’s your big day! With over 200 cheeses at their disposal, the team at Macknade Fine Foods know a thing or two about crafting the perfect celebration cheese cake. The extensive cheese counter is the focal point of this sprawling 10,000 sqft food hall on the outskirts of Faversham, which this year celebrates 40 years of retailing.From classic farmhouse cheddars to award-winning local cheeses, cakes can be designed to any budget or number of guests and the experienced team will work with you to make it truly unique. With the rest of the food hall at your fingertips, you can also select all the accompaniments you need, including biscuits, chutneys & fruit. Known as the sweetest cakes in Kent, Hollie’s Little Cakery was created through a passion of art and a love of baking. There is a show-stopping selection of flavours to choose from – whether its food trend of the moment: salted caramel, or a fragrant, rhubarb and rose, for that little something different. All of its cakes are handmade and hand sculpted meaning every one is an original piece. Furthermore, they can also make allergy specific cakes including gluten free, egg free and dairy free ensuring that nobody misses out! Cakes have been a big thing in Claire’s, who owns Delicious Occasions, life since she was very little as her mother was President of the local WI and constantly baking up a storm. 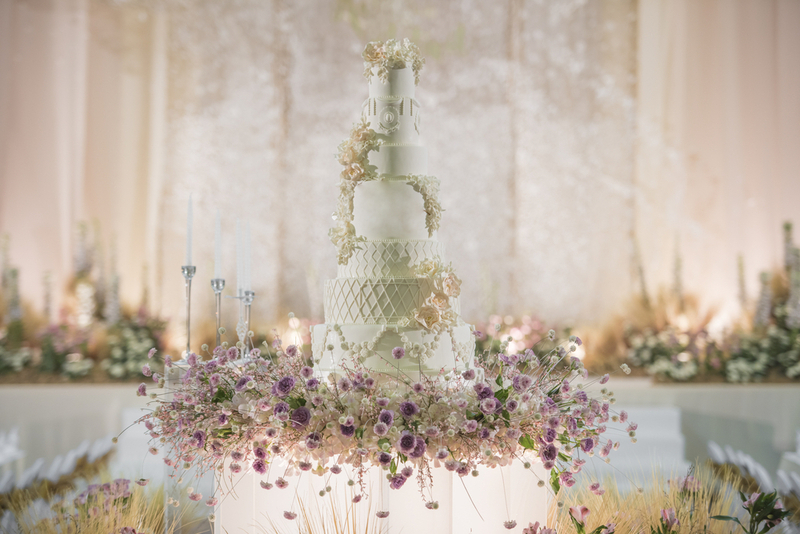 Claire now brings her own passion to life with Delicious Occasions and totally understands that your wedding day is very special so invites all couples to visit for a free consultation and tasting session so she can get to grips with what you are after. A truly bespoke service plus some delicious free cake thrown in too – I am sold. Helen has been a wedding photographer for the past 14 years and during that time has been to hundreds of beautiful weddings, from intimate and rustic country weddings to exotic destination weddings so she is up for any challenge that you throw at her. Helen believes it is her job to capture the full story of your day: the big moments as well as all the not-so-big in-between moments that matter just as much. Her style is relaxed, natural and authentic, and captures real moments as they unfold. If that sounds like the kind of person you are after to zoom at you all day long, then I suggest you get in touch. Available for elopements, engagements and anything else in between, Leana is from New Zealand and in her own words, is crazy passionate about weddings and love. Leana not only travels across the UK for weddings but has also frequently captured the celebrations at destination weddings across the world. Known for her casual style, Leana can produce stunning reportage photography as well as the more posed ones. Her photography is gorgeous, quirky and original – which is of course why we just love it here at Muddy. She photographs women beautifully and loves to meet people and capture unique moments. Zuzu’s experience in portraits, fashion, advertising and lifestyle photography combines into a unique method that creates perfect photographs for you and your loved ones. If you want to swerve the traditional posed shot, you really should speak to ZuZu. Hannah Robertson tries to steer away from anything too staged and wants to capture real life and document these moments as they’re happening, so you can look back and remember that time, just as it is. Most importantly, as a mum of three young boys, she is well used to coping with tantrums and hungry, excited little ones so do not fear if the younger generation are not as enthused about the big day as much as you are, help is at hand with Hannah’s calm manner and excellent photography skills. 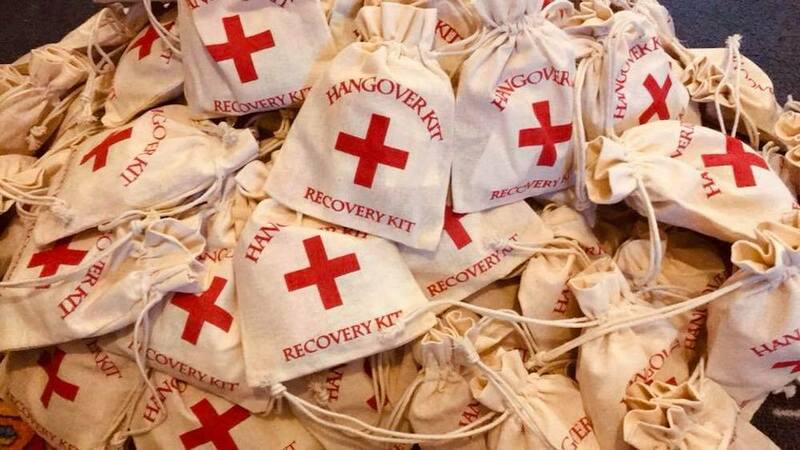 The Little Pixie Hollow is a small family run business based in Ashford, Kent specialising in exciting, personalised favours from Hangover Recovery Kits, party sunglasses, treat bags and even their famous Midnight Munchies Treat bags. Perfect choice for a budget conscious bride, who wants premium quality favours. From Ferrero Rocher Pyramids, Pick ‘n’ Mix stands, Chocolate fountains, Sweet Tables, Slush Machines, Candy Floss Carts and even an Ice Cream Tricycle! If you’d like to go all out on your Big Day, these fun favours will really make it memorable. If you want the goddamn coolest party then you need to know about these awesome, local party props people. They hire out everything from hay bales and cocktail bars to stunning 4ft light up letters. 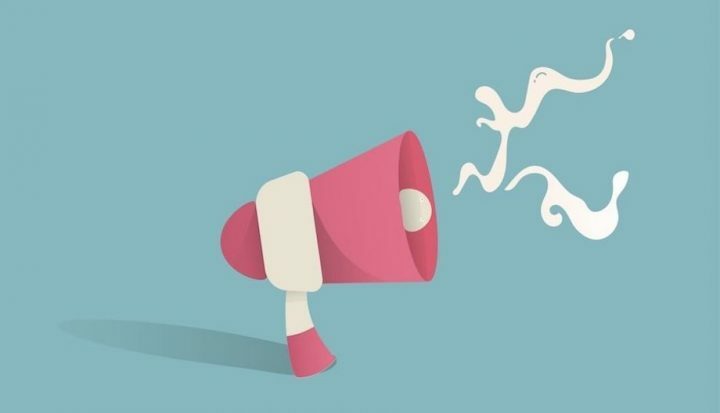 Don’t organise an event until you’ve checked them out! From Balloon Design to Tassel Back Drops, the lovely B from Pop Pop Papier will make your Wedding a day to remember. She specialises in create bespoke decorations which are made to order from her studio in Tunbridge Wells. Her clients include Selfridges, Harvey Nichols, The Meringue Girls, MADE.COM and Tangle Teezer; with Press coverage in Italian Glamour, Marie Claire, Conde Nast Brides, Wedding Ideas Magazine and Perfect Wedding Magazine. Love Inc Ltd was established in 2009 by founder Hannah Gee, hatched from her love of collecting vintage and retro items to adorn her uber modern abode. 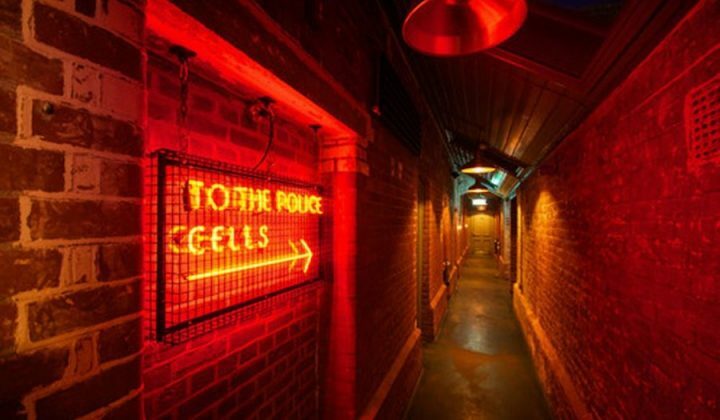 Famous for their gorgeous neon letters you can hire, have bespoke made and buy to keep! Find her products direct from her website or Not on the High Street, Rockett St George, Graham and Green and lots more! Customers include Jo Salon and David McCall. 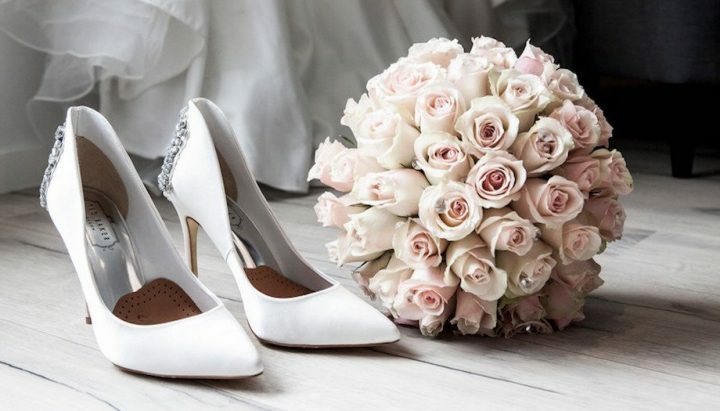 Amy from The Timeless Stylist designs and styles beautiful and inviting weddings using hand-picked heirloom items, to create a timeless, elegant & romantic style for your very special wedding day. From creating a styled tablescape for your guests to adore eating from, to thinking about all of the little details that will help make your event individual and thoughtful, and one that you will be sure to cherish forever. If you care about the small details and want a style-led day to remember, Amy if your girl! From initial inspiration session through to working with you throughout the entirety of your wedding or event planning, to create your timeless, romantic day to remember. I’m looking for exciting and local florist in Kent. Can you help please. ?